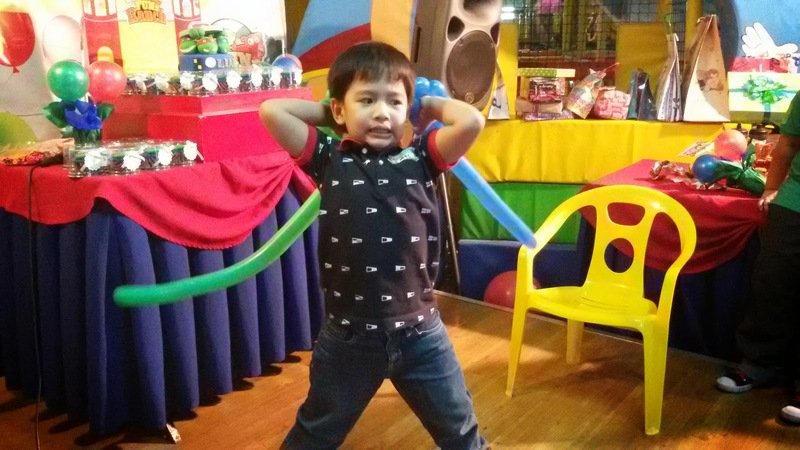 Last weekend, Wes was invited to an afternoon of fun at a Fun Ranch Birthday Party. It wasn't our first time to attend one. 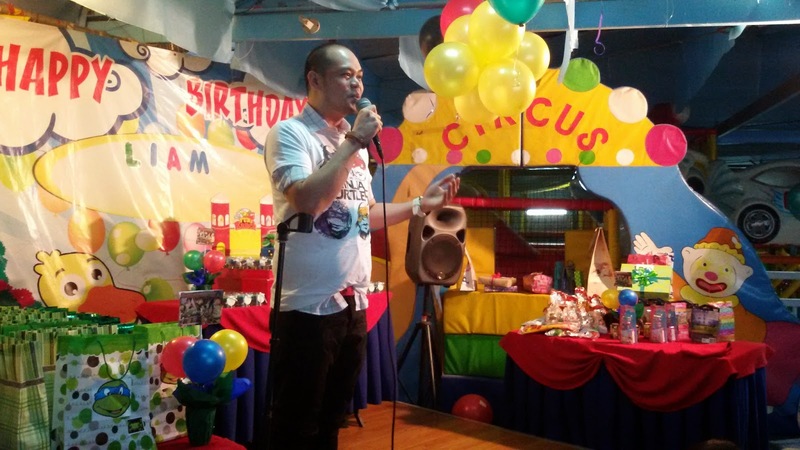 We've been attending birthday parties at Fun Ranch's different party venues. 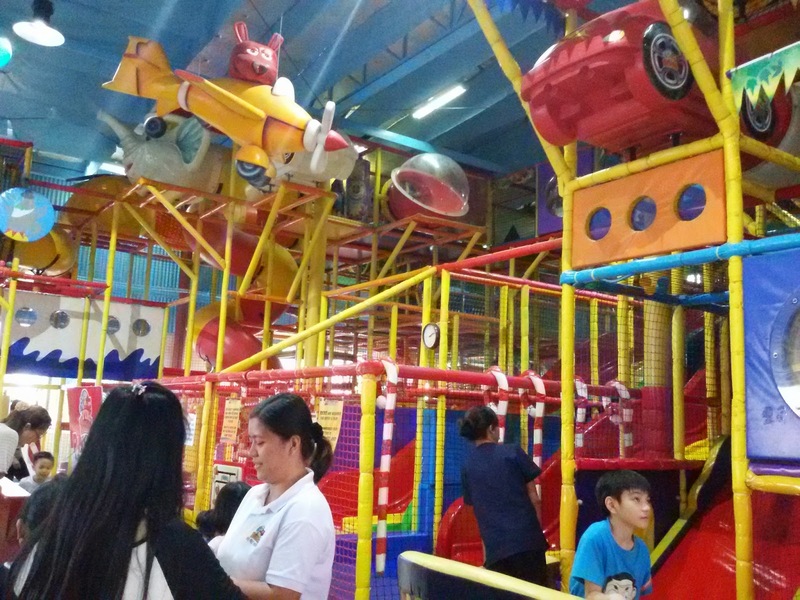 This time, it was our third to attend a Playdium birthday party at Fun Ranch. 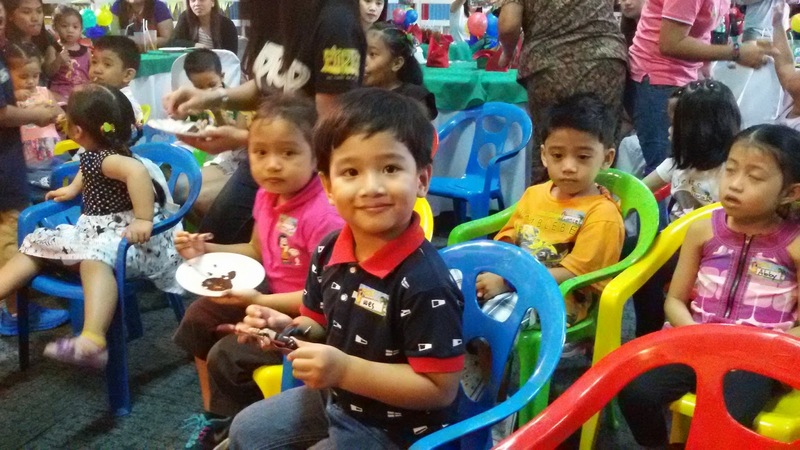 As how it was in other parties, my son's experience was one for the books. 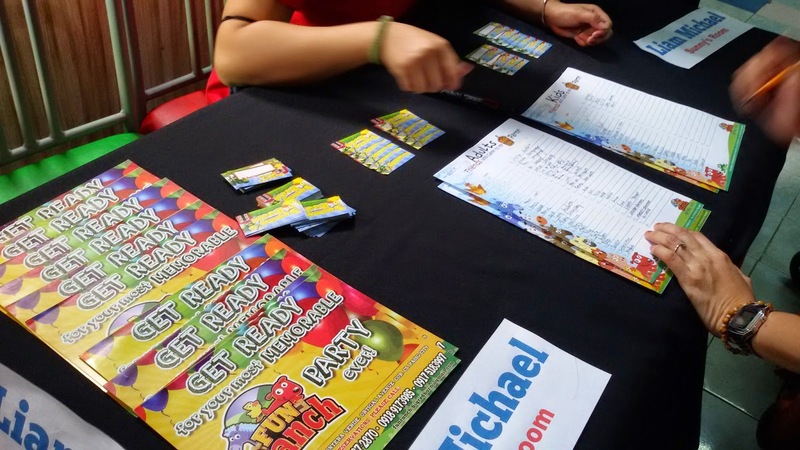 I've reminded myself countless times to write about Fun Ranch's birthday party packages, but because of too much fun, I always forget to take photos of the parties and just focused on my sons' reactions and winning joining the games (which I still got to do last weekend!). 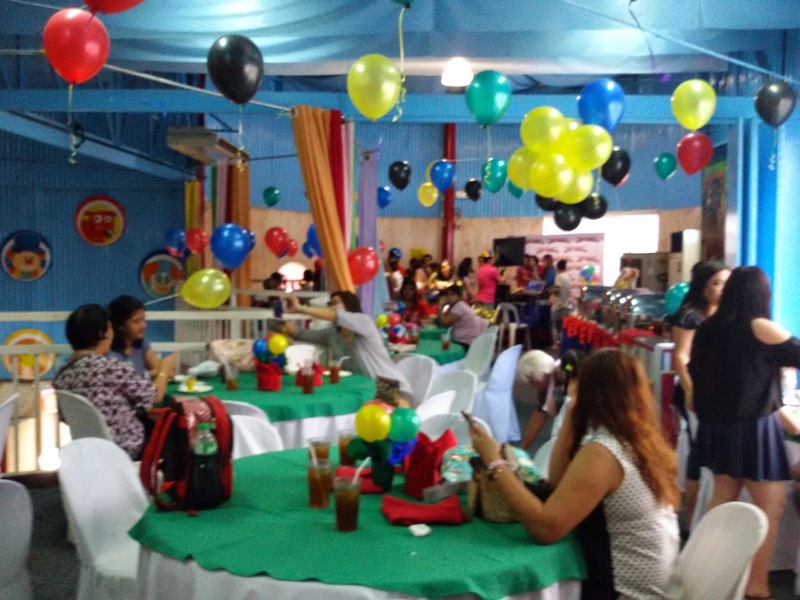 Here are some photos of the party and details on the party packages of Fun Ranch Playdium to follow below. 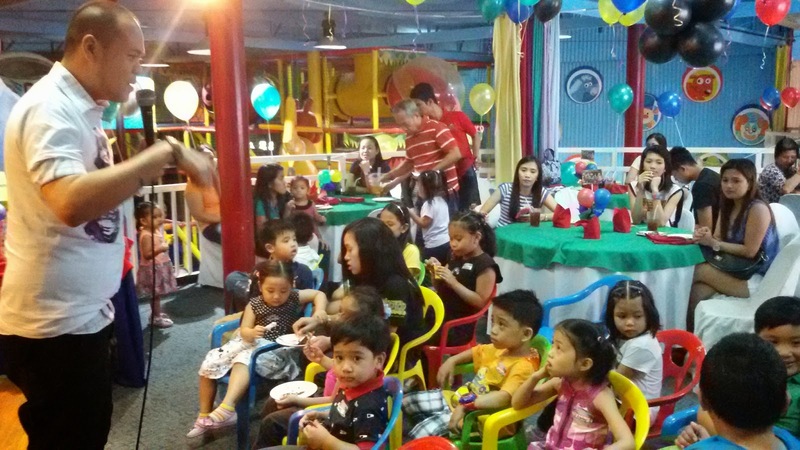 Fun Ranch Playdium birthday tables and chairs set up at the second floor. Stage set-up with kiddie chairs in front. Party host speaks in English or Taglish. Just look at that smile on this little boy's face! He certainly was enjoying the show! 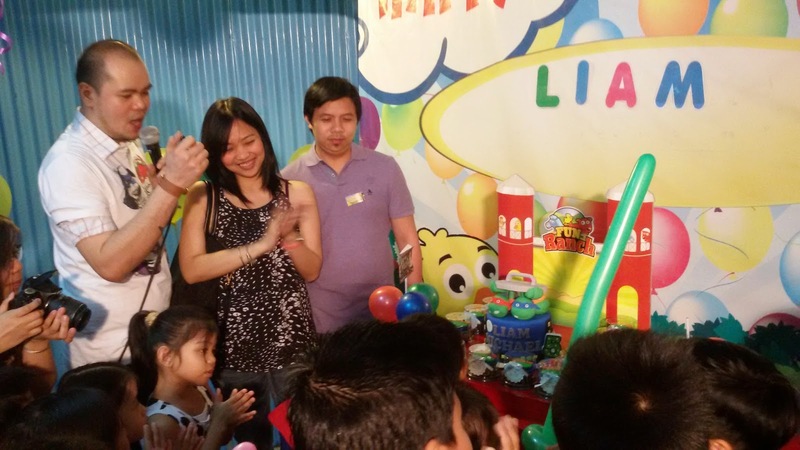 The host keeps the children entertained throughout the party with exciting games. 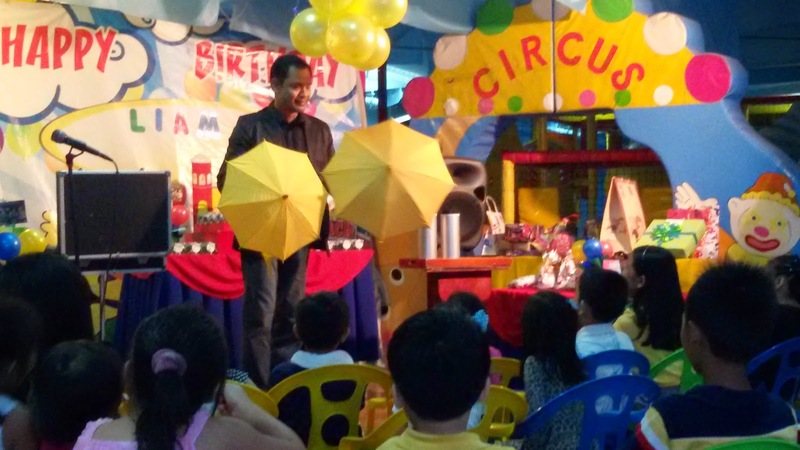 The kids were attentive during the magic show and were amazed with the magician's tricks! Cute and healthy sweet treats await the guests! 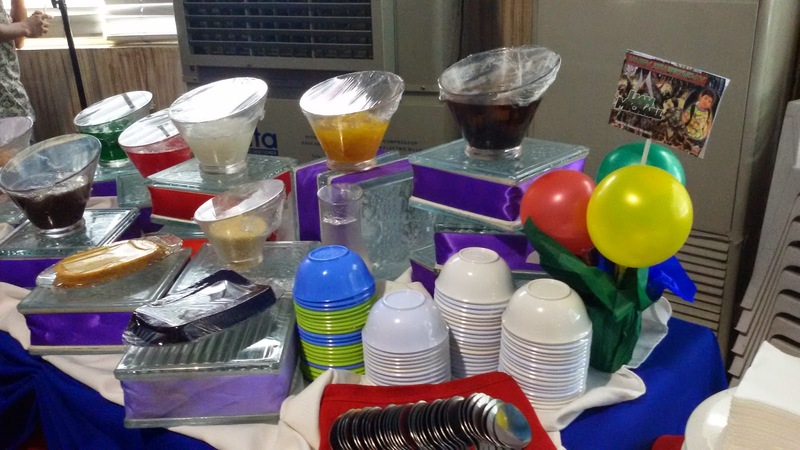 Halo-Halo was also served during the party! 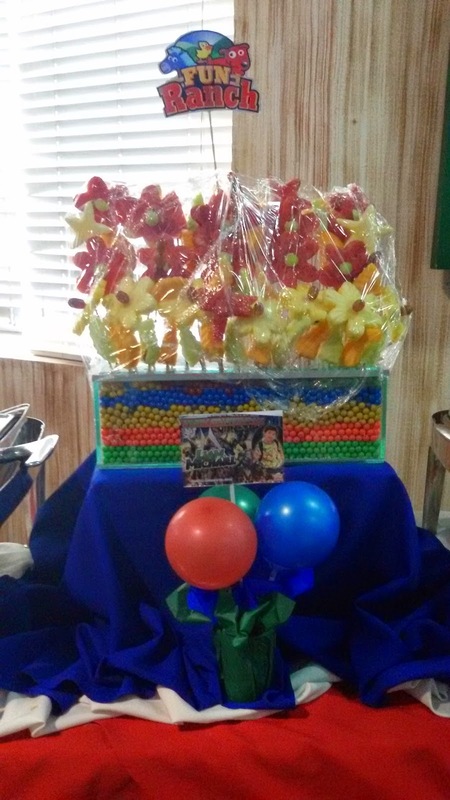 Balloon Twists were given to children. 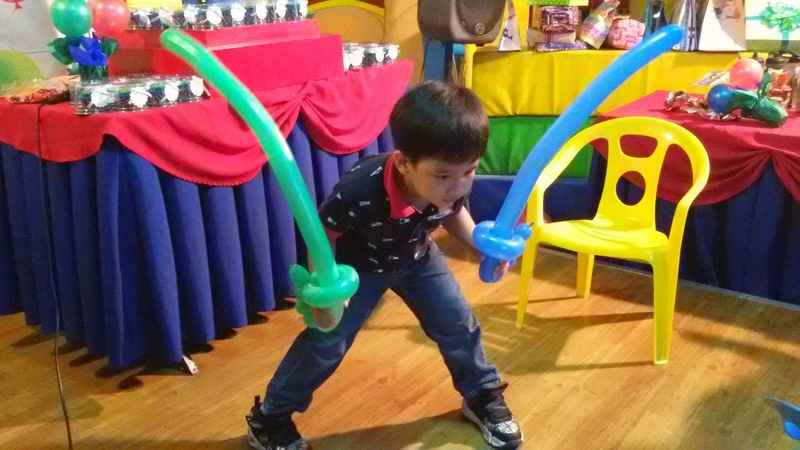 This one got two swords and pretended on stage in front of everyone! And he's ready for the attack! After snacks, birthday song singing and birthday candle blowing were in order. 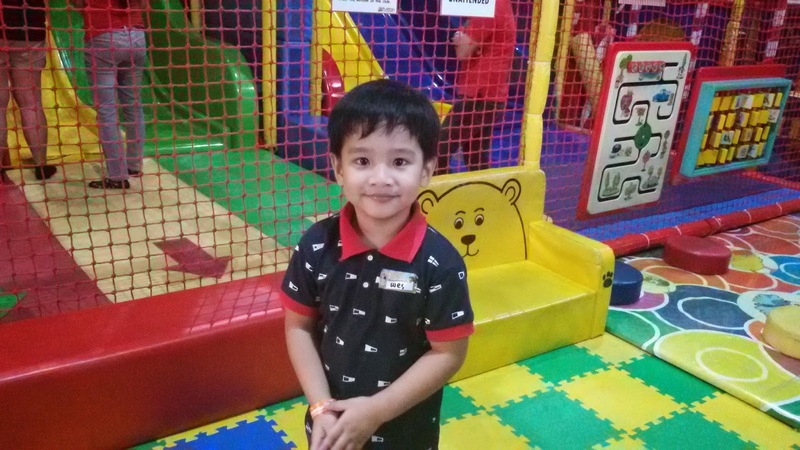 The little one still had so much energy after the party and we're glad the indoor playground is just at the ground floor. The magician however, lacked a little excitement in his voice and his tricks were a bit ordinary, but nevertheless, he was able to get an applause from his little audience that day. There was one crazy trick he did however which received loud screams from the audience. He got one adult from the audience and asked to keep a heavy basket and not open it. After a while, when he asked the woman to open the basket, surprisingly to everyone, it contained a big snake! The party lasted for three (3) hours including snacks and it helped that the entertainers kept everyone busy and interactive. I enjoyed the foodcarts better than the main meal. I guess it really depends on the taste or mood of the guest! hahaha! 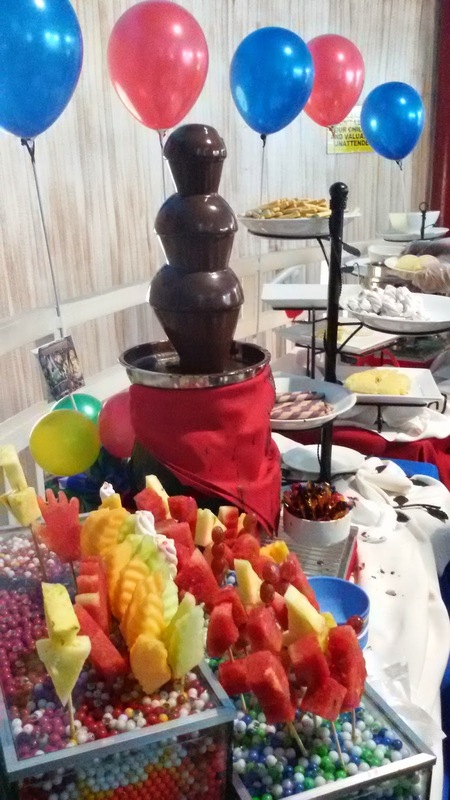 I love tacos and choco fountain and I'm glad these carts were open upon registration. Their main meal was okay. 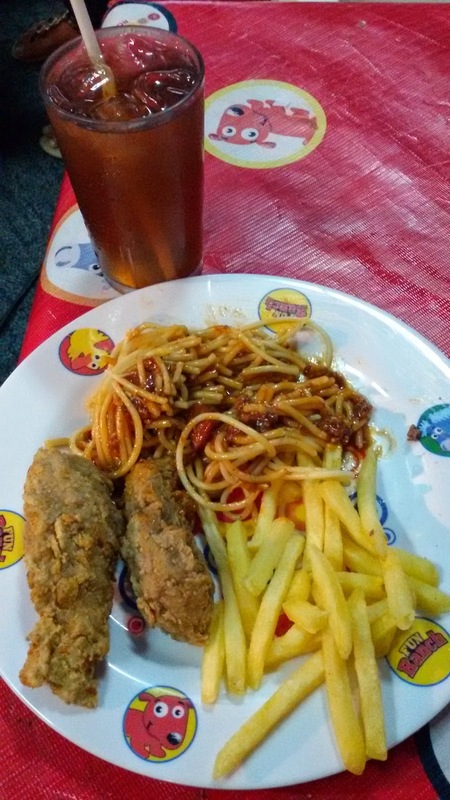 It's something expected (Spaghetti, BBQ, Burger, Lumpiang Shanghai). But what made it better was its Iced Tea is unlimited serving. 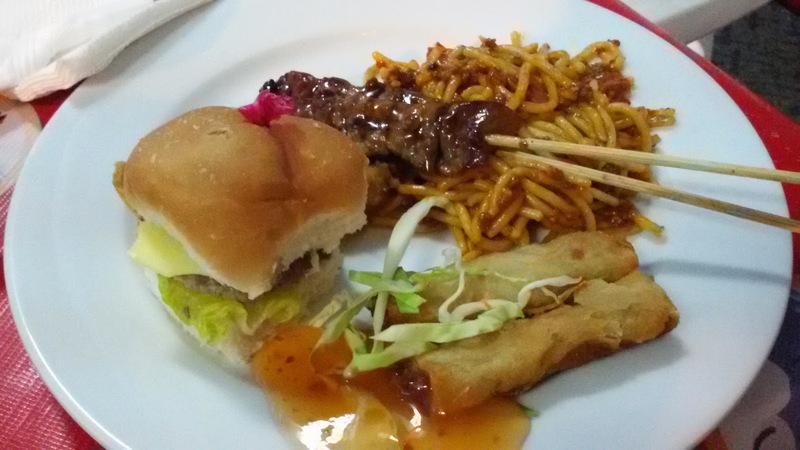 Their serving also came in good proportion, you wouldn't say any guest is short-changed. Sorbetes was available that time and for me, no party is complete without ice cream! Fun Ranch's staff are always friendly, approachable, courteous, efficient, and quick to respond. They all know what they are doing and what their standard procedures are. 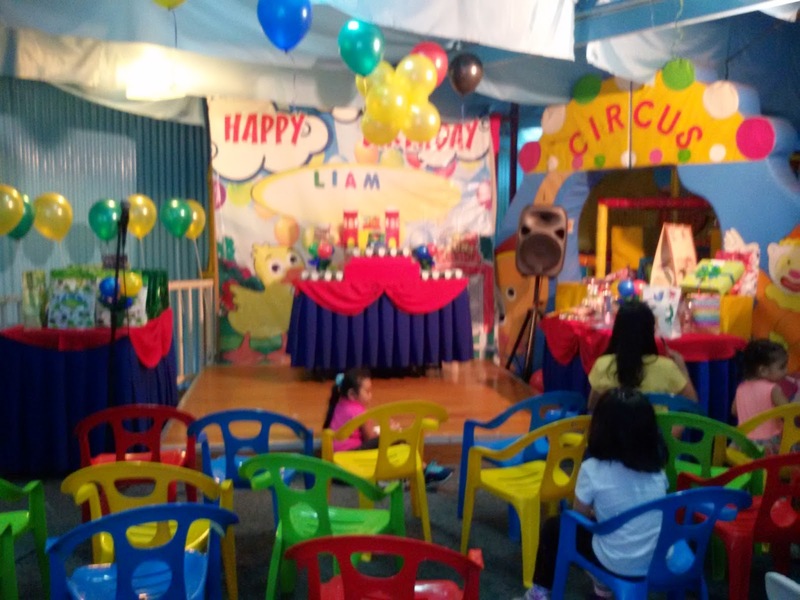 The most important thing for me is they are alert whenever their party clients need something arranged (like take out chairs and tables for the program). Best of all, they look presentable and clean. 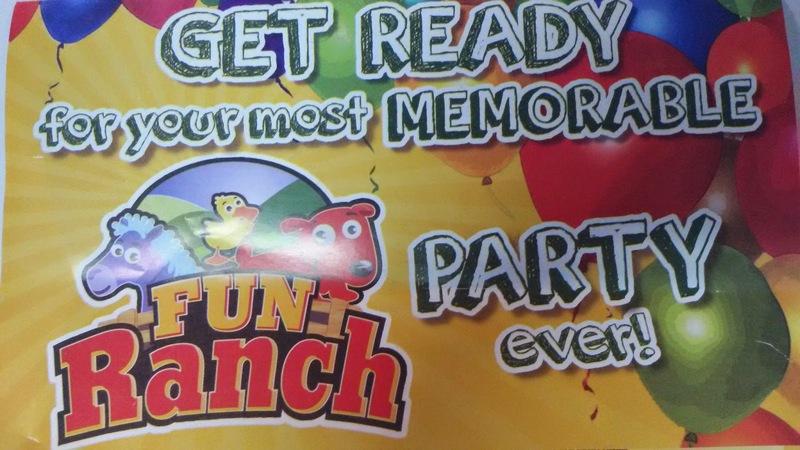 For more information on Fun Ranch's Birthday Party Packages, you may call 706-3019, 706-2887, 687-2870 or visit their website: http://www.kidsrulehere.com/party-packages.php. 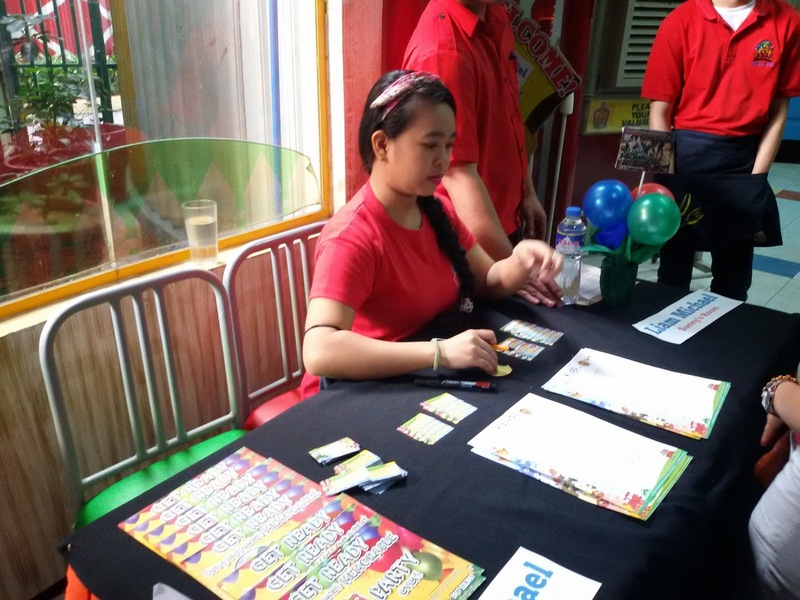 Fun Ranch Ortigas is located in Frontera, Ortigas Ave., cor C5, Pasig City. You may also like them on Facebook for updates, events and promos. Love your post. It's very informative and coming from the heart! :) We took note of all your observations as we are constantly on the look-out for new ideas and things that we need to work on.